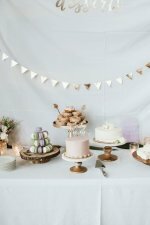 Clothesline Baby Shower Cakes with pictures and instructions! 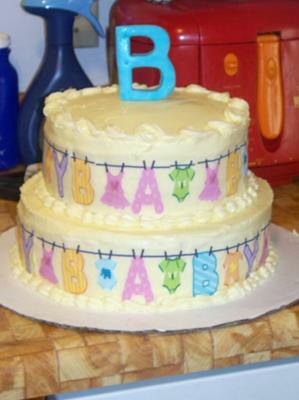 Clothesline Baby Shower Cakes are so popular because they can be simple to make ~ yet, oh so cute! 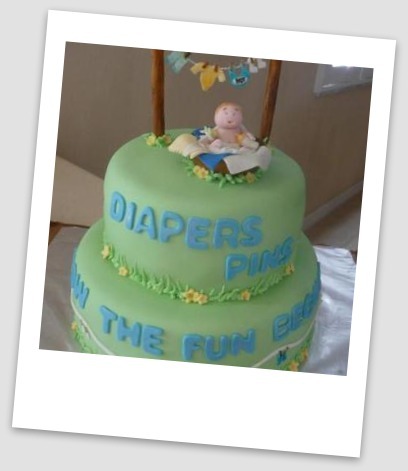 If you are planning a "Clothesline Baby Shower" - we've got a bunch of adorable cakes for you to see! 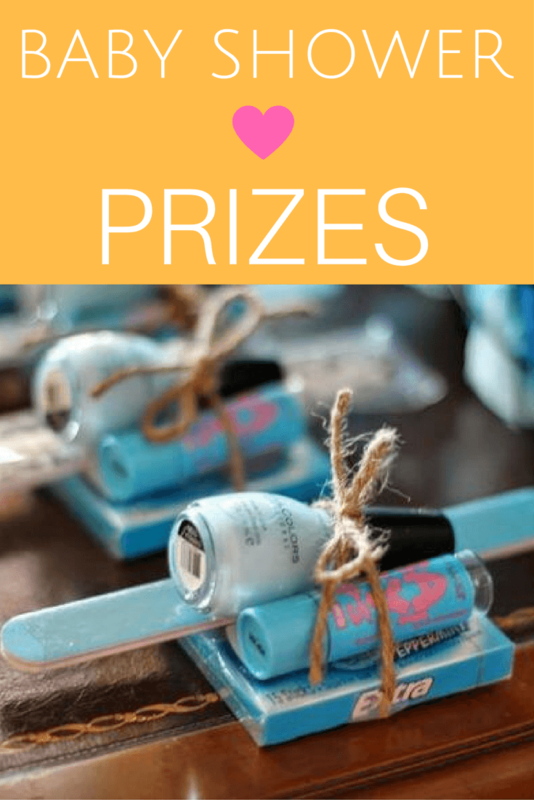 We also have some cute and clever ideas for hosting a clothesline themed shower! So get your scrolling finger warmed up, and get ready to be inspired! All of the cakes below have been submitted by our talented readers! 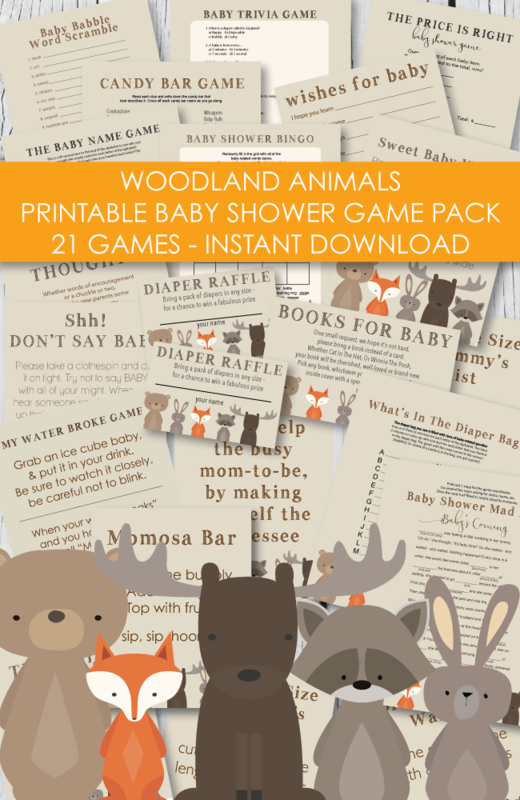 Also, be sure to scroll down to the end of the page - there is a cute (& FREE!) 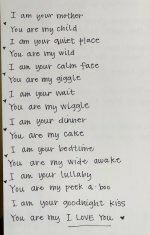 baby onesie printable that you can print from home and use for baby shower decorations! For this 2- tiered "Baby Shower Blocks And Clothesline Cake" I used fondant, butter cream, edible images, and dots. 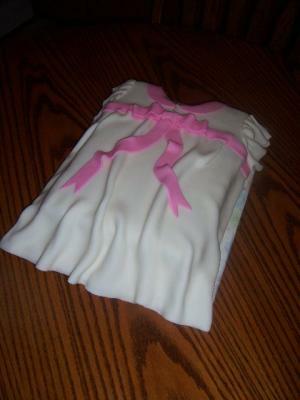 This clothesline baby clothes cake is a carrot cake with cream cheese icing. I made it using a 16 1/2 x 12 3/8 oval cake pan. 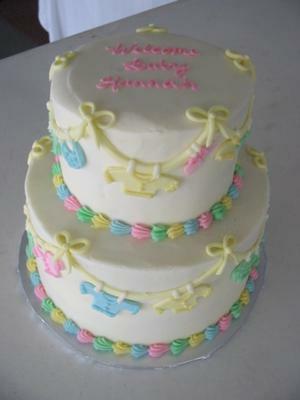 All of the decorations are made from fondant - you can find fondant pre-made at cake supply stores or online. Or you can make it from scratch. 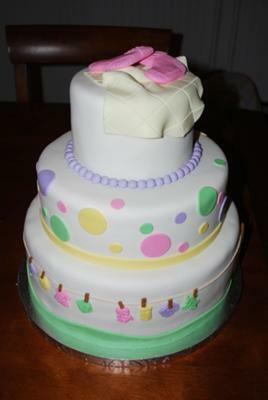 This Clothesline Polka Dot Cake was a cake made for a couple who was having their first baby. The parents just loved the cake. It's a 12", 10" and 6" cake all crumb coated with Swiss Meringue Vanilla butter cream then covered in Fondant. For the clothesline I used the kitchen-aid spaghetti maker. The clothes, pole (holding the clothesline), booties and blanket are also fondant. 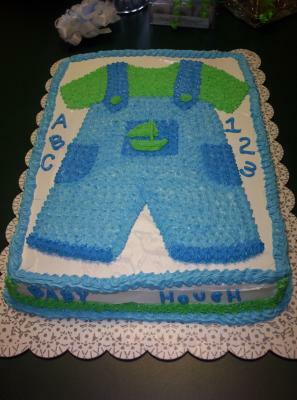 For this Little Boy Blue Overall Cake I drew a picture of the overalls with a toothpick onto the white butter cream frosted cake. Then I filled the overalls in mainly with the star tip. Then outlined. This is a 13x9" inch cake. Pretty easy to make. Bake, frost with white frosting, and then pipe on the picture and decorations. 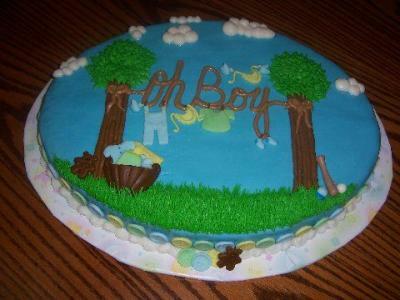 For this "Take Me Home Mommy Baby Cake" I baked two 11 X 15 cakes - one in chocolate and one in yellow. I cut the cakes in half horizontally when they were room temperature. Sliding each piece onto a a cake board I froze all the pieces so it would be easier to fill with 3 fillings of raspberry, chocolate Bavarian creme and lemon. Yum. Once all the pieces were filled and assembled, I used a template to cut out the sweater. I used a decorator's butter cream icing and "combed" the surface in a zig-zag pattern, then made continuous rows of small shells to create the knitted look. The ribbon is made of molded chocolate and the roses were made with a number 102 tip - shells with 14 star tip. The cake was then sprinkled with edible glitter to make it shine. I used the left-over cut-out pieces to make booties and a cap, using the same technique except I did not torte them - way too crumbly. I used an 8 inch round cake pan and stacked my cake tall. 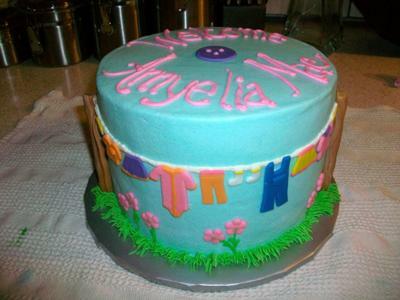 I used blue buttercream to resemble the sky and made all of the clothes out of colored fondant. 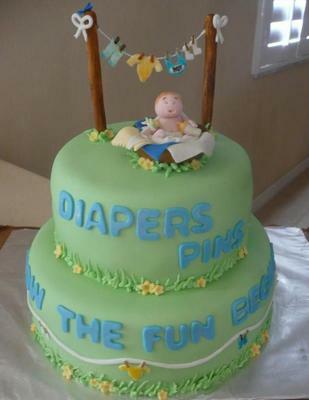 This is a great cake if the mom is a scrapbooker, as she can use the clothesline stickers in the baby book. I baked one 10 inch round cake and filled it with sugar free chocolate pudding. Used Wilton's buttercream frosting to decorate. This cake went with the theme of her nursery. Use the Joilee's sticker packs or something comparable and then get the mini clothes pins at walmart to hang on to skewers and twine. I love how you used regular frosting instead of fondant. Fondant doesn't taste all that great and is over-used in my opinion. Using frosting shows that you have true talent! I love the bright, beautiful colors you chose! So cheery and festive! Thank you for inspiring me to try and make my own baby shower cake! 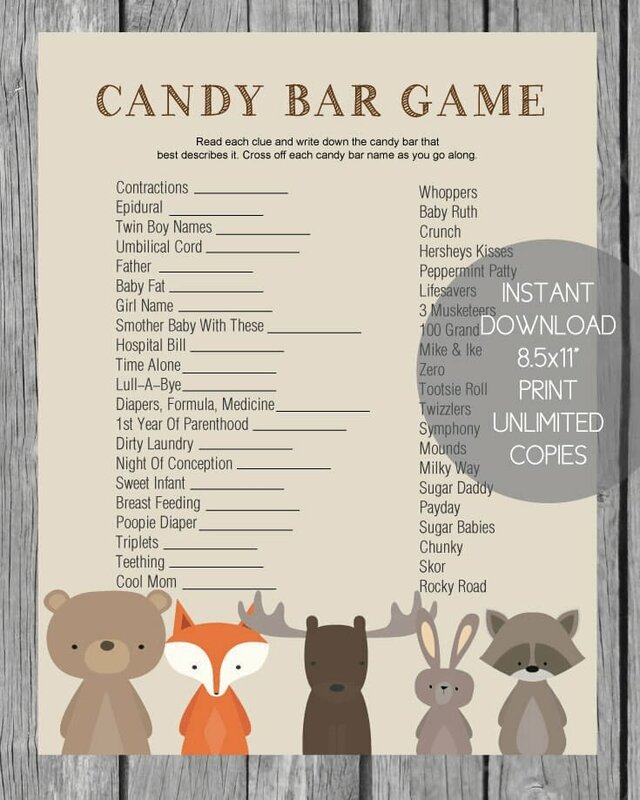 My sister is having a baby in April and wants a clothesline baby shower theme. This cake is perfect! I covered the the cakes in pastel green fondant and stacked them. I piped matching green buttercream along the bottom of the cakes to make the grass. The flowers were cut out of yellow fondant with a very small flower cookie cutter. I then placed them randomly in the grass. The lettering was cut out of blue fondant and glued to the cake with water and a paintbrush. The clothesline around the bottom tier was a thin piece of fondant glued with water. The clothes were cut with a knife and painted with food coloring and then glued with water. The wooden poles were wire covered in fondant, and then painted with brown food coloring. When both poles were finished another wire was covered in a very thin layer of fondant and used for the line. Then clothes were cut and painted and glue to the line with royal icing. I let that dry for a bit and worked on the baby basket. The basket is just fondant formed into a basket and then painted brown with food coloring. Then I cut out some different colored pieces of fondant to make the laundry in the basket. The baby was made with a small round ball for the head and a larger ball for the body of peach colored fondant. The a couple arms and legs, and then finished with a small piece of white fondant for the diaper. When the clothesline dried, I then placed the wires into the cake so it stood up straight. The baby was placed in the basket and then next to the clothesline. I also added a tiny butterfly made of fondant on the clothesline pole. 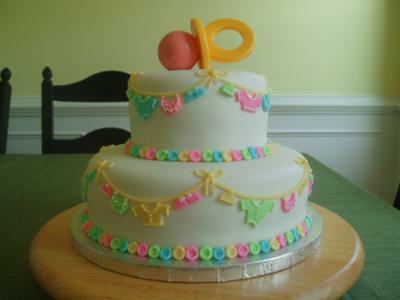 I made this two tier round baby shower clothesline cake using a 10'' round pan for the bottom tier and 6'' round pan for the top tier, the cakes were butter cake with Bavarian cream filling, cover in white fondant. The buttons for the borders were made a couples of days in advance and then positioned on the cake on top of a buttercream bead border (round tip #5 Wilton), the clothes and clothesline were made out fondant and then glued (with water) on the cake, all the details on the clothes were made after they were on the cake. The pacifier was made out of candy: I took two half round molds and filled them with melted candy, once both side were dried, I melted the flat part a little bit (stove ceramic burner) and glue them together, the handle was made with round cookie cutters; position the cookie cutter on top of parchment paper and then pour the candy, let it dry, for the part with the hole in it, just use two cookie cutters of difference sizes and put one inside of the other and fill the outside part of it. 1st PLACE WINNER IN OUR BABY SHOWER CAKE CONTEST! 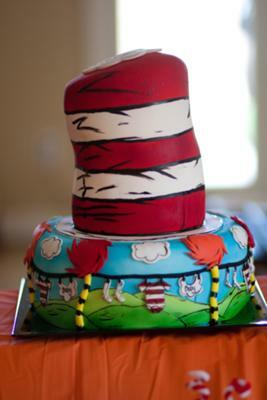 The hat cake was made with 4 6" cakes. Stack and fill the cakes, then carve out the sides a little to make it a bit flopsy. Cover with rolled fondant. Use blue painters tape to tape of 2 white stripe sections. (Make sure it is on there secure so no red seeps through) I used an airbrush machine to spray on the red, but you could paint on watered down food coloring or just use red fondant and add 2 white strips of fondant. The bottom was 2 9" cakes covered in fondant. Again I used and airbrush to color green, but you could paint or just use green fondant. Put some supports in and place the hat on top, and dowel down the center. Use your imagination and create your own Dr. Seuss like scene! I have also made this cake with a birthday scene (table, balloons, mini-cake, and fish). I used fondant and cut out the baby clothesline shapes with an exacto knife- onesies, socks, bibs, trees, etc. Attach to cake. Now is the fun part! Get some black food coloring. I find that airbrsh coloring works the best because it is already a watery liquid, but you can use gel colors and dilute with vodka or a clear extract. Paint, Paint, Paint! Using a new (never been used with regular paint) tiny brush, paint on the black outline details. The great part about this cake is you do not have to be perfect with the painting! So relax, and have fun! 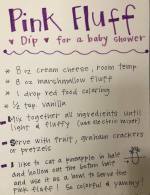 I am not a pro, just a stay at home mom with 3 little kids - if I can do it so can you! 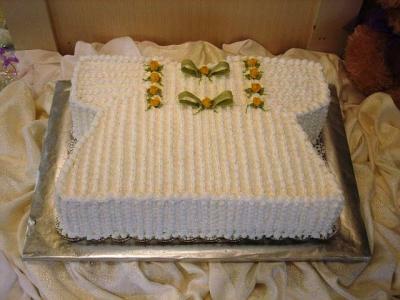 I started with just a plain sheet cake and carved the shape of the dress. I then covered the cake with mmf (marshmallow fondant.) I rolled out really thin strips of mmf for the sleeves, collar and the ruffle at the bottom. I actually used a "rough" standard wooden rolling pin to do this as it gave just a slight texture to the ruffle that was very nice. I then dressed up the sleeves a little more by taking a regular marking wheel (the kind you use for marking patterns - only used for my cakes though) to cut thin strips to finish the sleeves. I used a lace mold to dress up the ruffle at the bottom a little bit, again using mmf. To make the buttons, I simply made small balls of mmf and then used a ball tool to indent the center and then a tooth pick to make the thread holds. I used the Wilton Design wheel to create the button seam. The ribbon across the dress is simply mmf and I used the line texture sheet. The ribbon is actually a sheer ribbon, but you could easily make one that was edible. 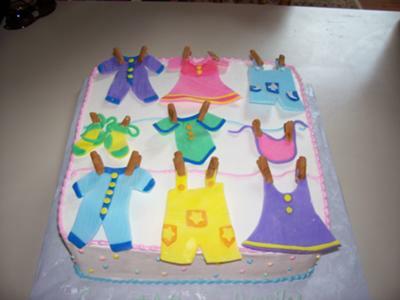 This Baby Clothes Line Cake is made with square cakes with small Swiss dots in pastels colors on sides. All clothes and pins are made of fondant! This is a two tiered stacked cake. The bottom tier is a two-layer 8" round, and the top is a two-layer 5" round. Both tiers are iced in white (vanilla) butter cream. I used the Wilton Fondant People cutter set to make little cut outs of baby clothes- booties, little shirts, onesies, bibs, and hats in light pink, blue, yellow and green fondant. I used matching colors in butter cream to add little details to the clothes- like buttons, polka dots, and fluffy cuffs. I sectioned the cake into 5ths and draped a thin strip of yellow fondant through each division, to make the little clothesline and bows. 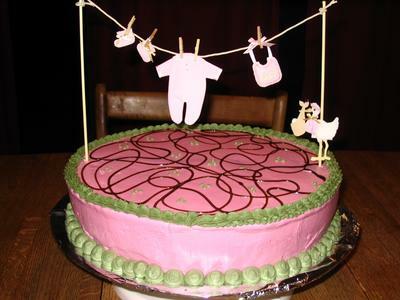 I positioned the little fondant clothes just below the clothesline. I used little tiny strips of white fondant to look like clothespins attaching the clothes to the line. Lastly, I used the matching multi colored butter creams to pipe a rainbow shell border around the base of each tier. They loved it! For this baby shower cake I made a chocolate cake, iced in cream cheese icing and covered with fondant icing. I used a 9 X 13 sheet pan to make this cake. A drinking glass was used to cutout the neck, and then I frosted the entire cake with cream cheese icing. Then I rolled out some fondant icing to make the dress and sleeves. 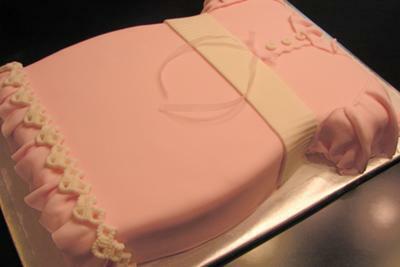 I colored some more fondant icing pink to make the bow and collar and used edible pearls as buttons. We designed this cute little baby onesie just for you! All you have to do is click on the picture below to download and print a page full of onesies. 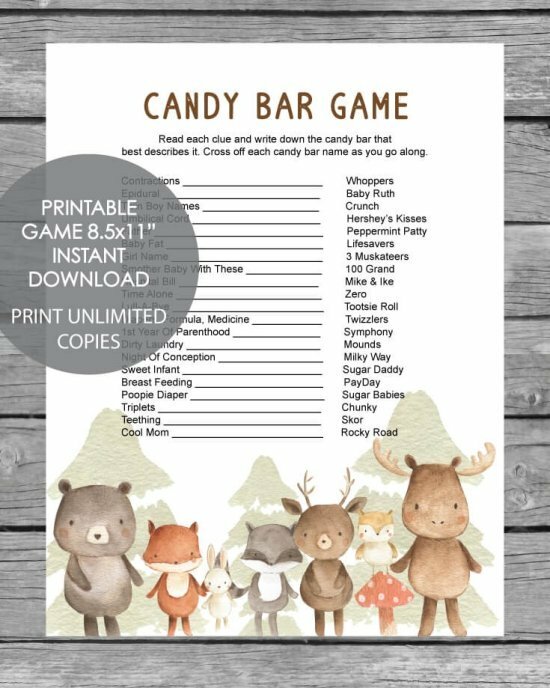 They come as a template (no color) so you can choose you what color of paper to print them on. Cardstock or patterned scrap book paper looks so cute! Use these onesies as cupcake toppers (simply attach to a lollipop stick or popsicle stick and poke into frosted cupcakes) or you can hang them from a clothesline across the room for instant cuteness! Some more cute decorating ideas are to buy scrapbook paper to match the clothesline theme (either a clothesline print or a matching pattern or color.) 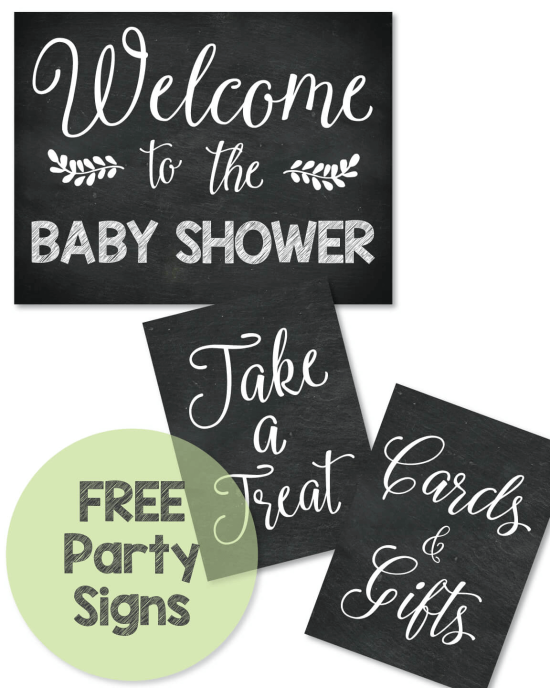 Use the scrapbook paper to add a bit of color and cuteness to the baby shower! Attach lollipop sticks or Popsicle sticks and poke into food or cupcakes. Hang yarn, pretty ribbon or a thin rope from wall to wall using screw hooks (to resemble a clothesline) then attach baby clothes to the line with clothespins - at the end of the shower take down the clothing and give to the mom-to-be. You can also add the clothes that get opened at the shower so everyone can see them and then they don't get passed all around the room! Feeling crafty? 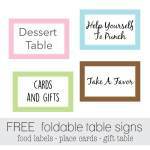 Make your own invitations! Simply visit your local craft store and purchase some plain greeting cards. Next, glue a piece of thread across the front of the card (to make a clothesline.) Then cut out little shirts and pants from construction paper and glue them on the clothesline. Some stores even carry miniature clothespins that you could glue on as well. 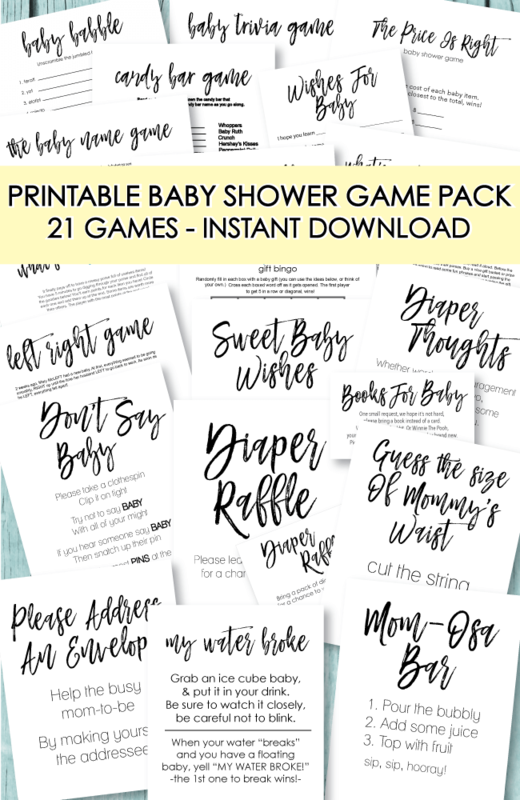 Using a stamp, stamp "baby shower" on the front and write the shower details inside! Don't Say Baby - As guests arrive, hand them each a clothespin and tell them they are not allowed to say the word baby. Every time someone is caught saying baby, they get their clothespin pulled. The last person wearing a pin is the winner! Fill a small laundry basket to the rim with baby essentials such as baby detergent, baby fabric softener, socks, onesies, blankets, etc. - this will also make a perfect centerpiece!